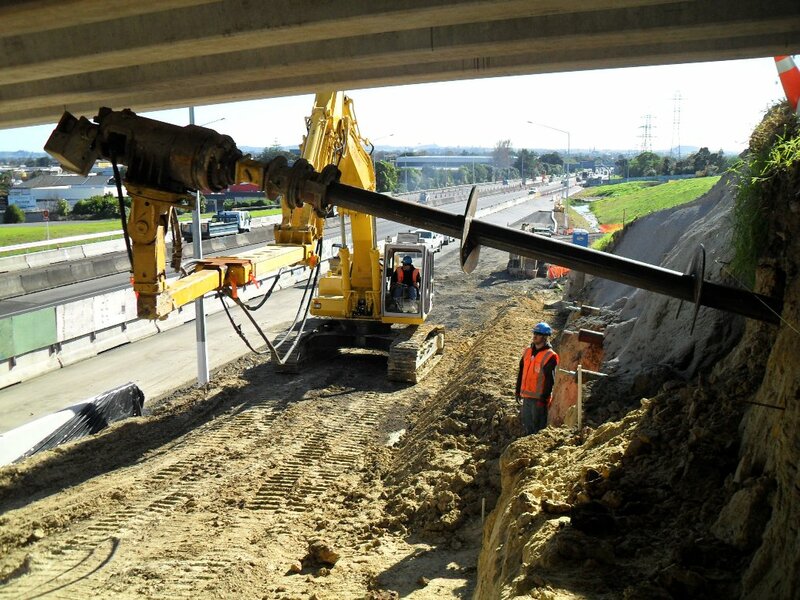 Piletech were engaged to install 178 horizontal screw anchors for an retaining structure above the new SH20-1 motorway link. 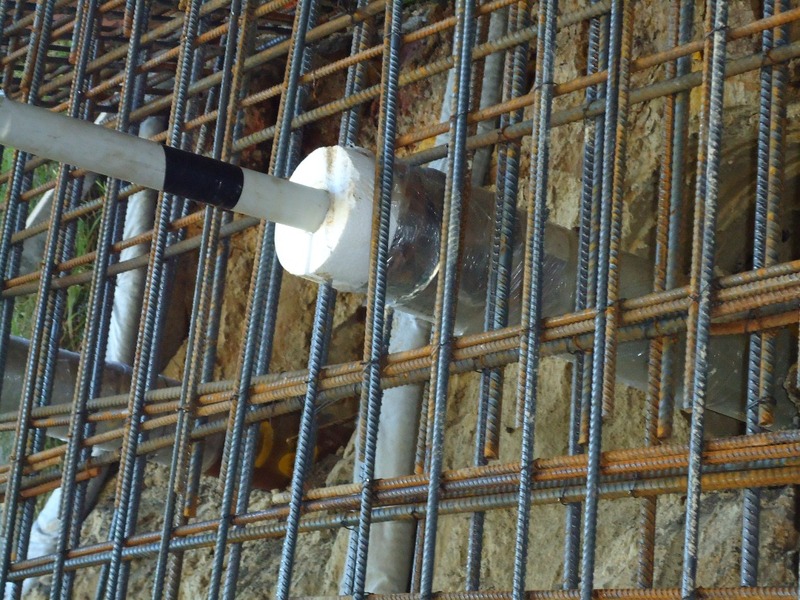 The team were required to undertake a series of load tests to confirm anchor capacities as well as performing proof testing of some completed anchors. The anchors constructed underneath the Redoubt Road overbridge were difficult to install with substantial restrictions on headroom and benching. 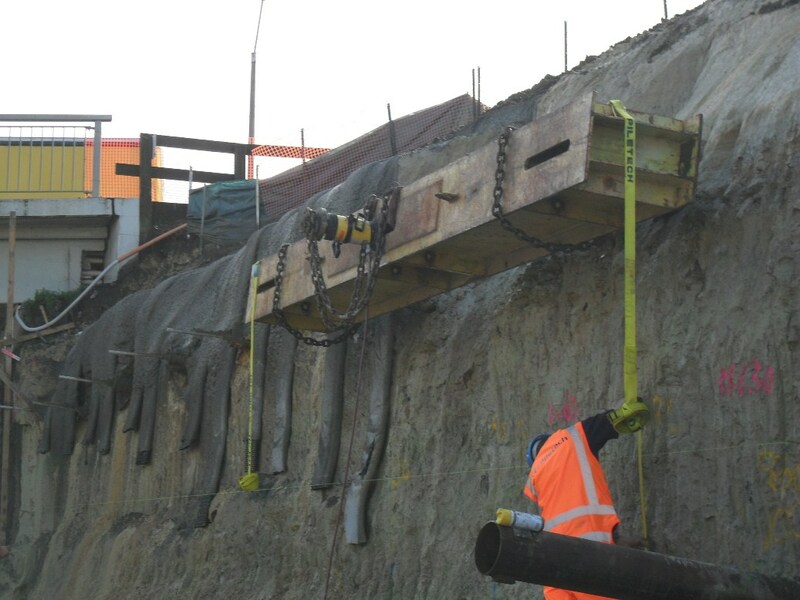 The team developed an adaption to our piling equipment to access underneath the bridge and the project was completed safely and within programme. 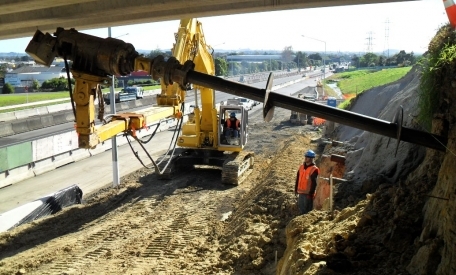 An anchor connection detail was designed by Piletech to allow post tensioning of anchors to be undertaken reducing the long term settlement of the anchoring system reducing retaining wall deflections.